Our woven upwind sails can deliver the durability you need and the performance you want. Whether class rules or your budget limit your sail material choice, we still view woven Dacron as a performance fabric. Understanding the shape retention characteristics of each type of woven influences the design process and our team works very hard to ensure that your sail is design and built to work in harmony with the materials. 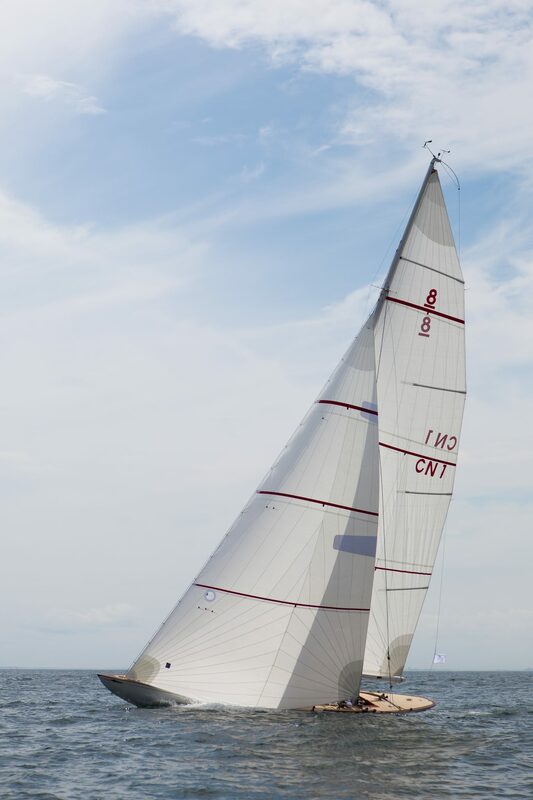 With recent advancements in performance Dacron fabrics, we can spec a crosscut woven Dacron mainsail and radial woven Dacron genoa that will deliver a great combination of performance, durability and value for you. Dacron fabrics available are: Pro Radial, recommended for boats over 30 feet, and AP Blade for boats up to 35 feet. Of course, high aspect wovens are always a great choice in mainsails and 100% jibs, but more refined warp oriented fabrics are perfect for radial headsails. These radial sails really perform and depending on the type of sailing you do, may be a great choice for your boat.